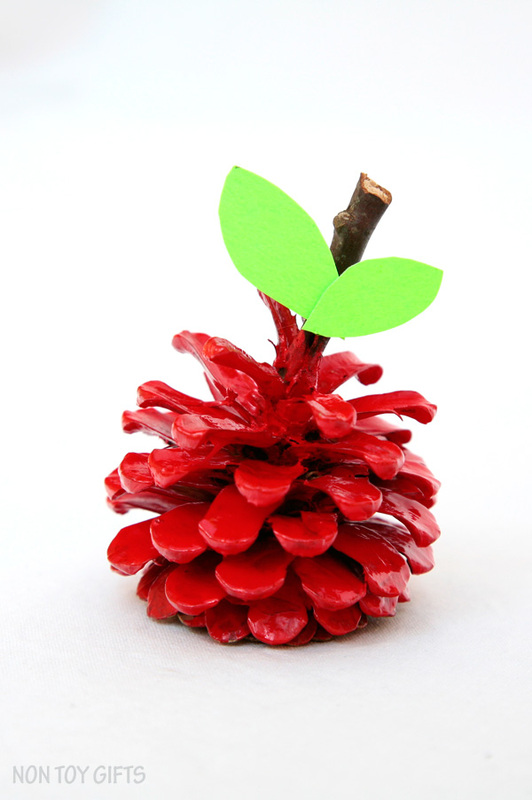 Combine nature and fall crafts to create an adorable pinecone apple. 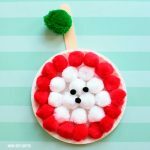 A simple idea to celebrate the season with kids of all ages. You can turn it into a beautiful fall garland to decorate your home or the classroom. 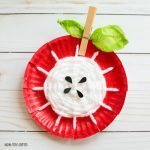 This is a nice addition to our apple craft collection as well as the 100+ easy crafts for kids. 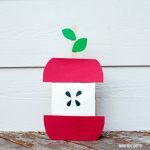 We just can’t stop creating apple crafts. 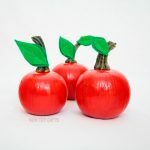 We love them and as soon as fall kicks in we can’t help ourselves turning almost everything into an apple. 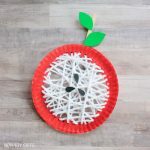 From paper plates to paper rolls, pumpkins to paper bags – we have created a lot of apple crafts and try to come up with new ideas every year. 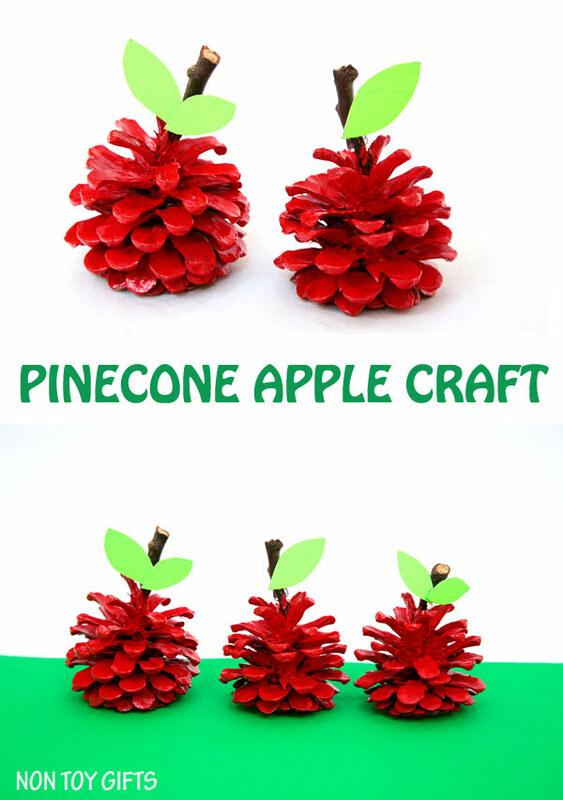 I know that a pinecone craft may sound more of a winter activity but there is so much more you can turn a pinecone into, other than Christmas decorations. 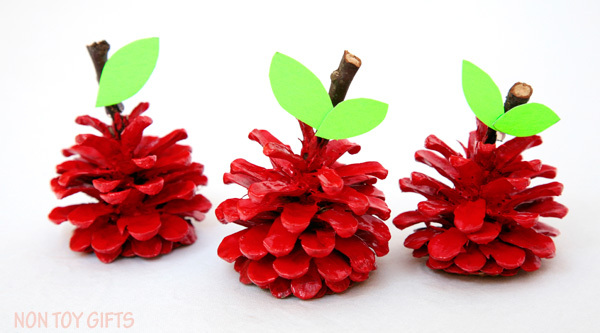 Think of pinecone owls, spiders, fairies or…apples. 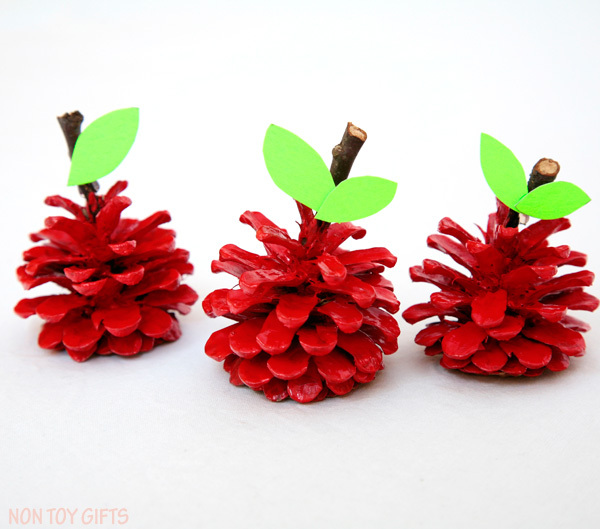 My inspiration came from this adorable pinecone pineapple. The fruits are similar in concept, the only thing that sets them apart is the color and leaf shape. 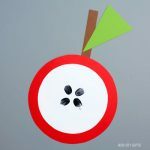 The craft is pretty much self explanatory but nevertheless I will share a tutorial below, as well as a list of the supplies I used. Gather a few pinecones. 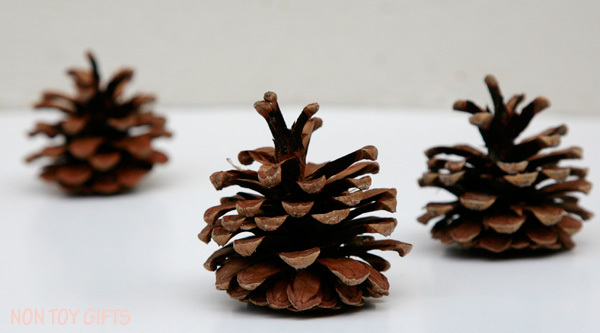 If you don’t have any pine trees near your house, you can always get a bag of pinecones from your local craft store or online. 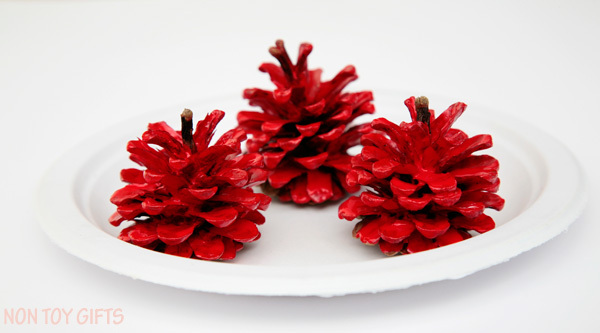 Use a paintbrush to paint the pinecones. 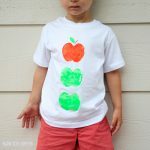 We used red paint but yellow or green will also work. 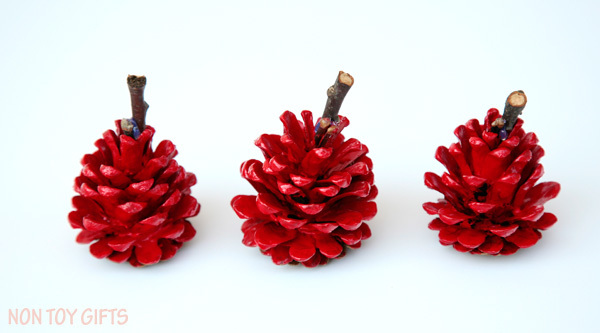 Break a stick into small pieces and glue the pieces on top of the pinecones. Because you need to use hot glue, this will be an adult only step. A low temp glue gun is a nice option for older kids. 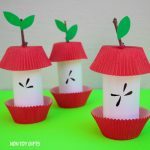 Cut out tiny leaves from green cardstock paper , felt or construction paper. Glue the leaves onto the sticks. Add one or two leaves on each stick.